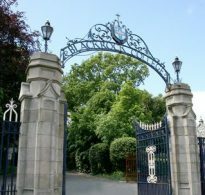 Blackrock College’s Spiritan ethos, it’s “Fearless and Bold” spirit and its constant striving for excellence have produced many distinguished alumni through its long history. Early Free State ministers such as Art O’Connor (Secretary for Agriculture 1921-1922), and Éamon de Valera, six times Taoiseach and the 3rd President of Ireland, studied and later taught in Blackrock. Modern politicians include Ruairi Quinn, T.D., Minister for Education. 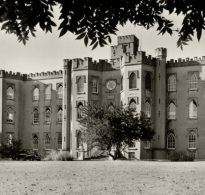 Flann O’Brien, the eminent writer (real name: Brian O’Nolan) and Tim Pat Coogan, the journalist and scholar, were students of the school. Alumni in the visual and fine arts include designer Paul Costelloe, composer Michael McGlynn and visual artist Robert Ballagh. Among many in the medical field the late Maurice C. Neligan was a ’Rockman and in the Law, Former Chief Justice Ronan Keane is a Past Student. Blackrock and the Spiritan Order has a long tradition of missionaries, including Fr Michael Doheny who was a founding member of Concern, and this tradition of working to improve the lives of others was also embodied by Past Students such as Frank Duff, founder of the Legion of Mary, and singer, songwriter, author, Live-Aid organiser and political activist Bob Geldof. In the sporting arena, among the many Past Students who have gone on to become Ireland Rugby Internationals are Fergus Slattery, Hugo McNeill, and more recently Brian O’Driscoll, Leo Cullen and Luke Fitzgerald. An earlier member of that club, Victor Costello, a 20 year Leinster, Ireland and Blackrock R.F.C. veteran, also competed in the shot-putt for Ireland at the Olympics. In other sports, Past Students include soccer international Alan Lee, and many GAA stars including Cian O’Sullivan and Michael Darragh McAuley, dual All-Ireland winners in 2011 and 2013 with Dublin.